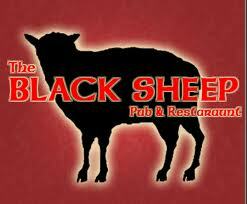 The next Young Lawyers Division Happy Hour will be Tuesday, May 22 at The Black Sheep Irish Pub, 247 S. 17th St., beginning at 5:30 p.m. RSVP is not required, however, the first 50 people to arrive will receive a drink ticket. Appetizers and drink specials will also be available. Network with members of the Business Law Section and learn more about the opportunities provided by the different committees within the Section. It's YLD night at the Phillies! Come cheer on our favorite ball team as they take on the San Francisco Giants at 7:05 p.m. Registration includes a ticket behind home plate in sections 419, 420 or 421 and a pre-game party at the all new XFinity Live! from 5 - 7 p.m. which includes a ballpark tailgate with beer and wine. This event is sponsored by Kaplan, Leaman & Wolfe Court Reporting & Litigation Support. Only a limited number of tickets are available and must be purchased by a member of the Association (maximum 3 guests per member). All tickets must be purchased by June 20 and all sales are final. Click here to register. Thanks to the Family Law Section for sponsoring the upcoming May 16th Legal Line! Legal Line is one of the many community service programs the YLD hosts. It takes place at the Bar Association headquarters at 11th and Market Street from 5 to 8 p.m. To sponsor an upcoming Legal Line please contact Melanie Taylor or Ed Beitze. Earn up to 12 CLE credits at the 2012 Philadelphia Trans-Health Conference on June 1 and 2 at the Pennsylvania Convention Center. This year's CLE program will explore the legal obstacles facing transgender communities in numerous contexts and provide training opportunities to enable attorneys to provide culturally competent legal services to transgender clients. Please visit trans-health.org for more information about these workshops and others. A recap of recent content on the YLD's blog. Looking Like a Lawyer, Part 1: Women. Join Project H.O.M.E. on May 16, 2012 for an evening of networking with the region's young leaders at Philadelphia's dynamic waterfront—compliments of Urban Outfitters. For the sixth year in a row, young leaders from the for-profit, non-profit and government sectors will come together to benefit the programs of Project H.O.M.E. Click here for more information and to register. The Pennsylvania Bar Institute will present the CLE program "Practical Evidence for the Courtroom" on Wednesday, May 16. The program will include a crash course on the Pennsylvania Rules of Evidence, evidence examples and explanations and a game show "What is…Evidence?" This 3 substantive, 1 ethics CLE credit program will be held at The CLE Conference Center on the 10th floor of the Wanamaker Building, Market and Juniper streets. Lunch and registration begin at 11:40 a.m. Click here to register. The 33rd annual Philadelphia Bar Association 5K Run/Walk will be held Sunday, May 20 with more than 1,000 runners and walkers expected to participate. The 5K benefits the Support Center for Child Advocates. Click here to register. The 5K begins at the entry to Martin Luther King Jr. Drive (West River Drive), adjacent to Philadelphia Museum of Art, at 8:30 a.m. The 5K Walk begins at 8:35 a.m. The registration fee for Bar Association members is $40. General registration for the 5K Walk is $20. Family registration for the Walk is $60. There is no fee to compete in the Buchanan Ingersoll & Rooney 200-Yard Kids Dash for children ages 5 to 10. The Kids' Dash begins immediately after the Run/Walk starts. All participants will receive a Race give-a-way. Child-friendly activities will be offered all morning. Registration is required for each child. A parent or guardian must be present. Neill W. Clark has won the Legal Competition for a record 13 consecutive years. His friends at Philadelphia Runner will award $200 to the first registered Philadelphia Bar Association runner who beats Clark's 2011 time. When you beat your 2011 race time, you'll receive a Brooks gift at Philadelphia Runner. So start training now! All recipients who beat their 2011 Race time will be notified by email. Registered participants can receive 20 percent off Brooks footwear, apparel and accessories at all three Philadelphia Runner stores. Visit www.philadelphiarunner.com for store locations. Silver bowls will be awarded to the first-place male and female runners in the 5K Run; Philadelphia Runner gift certificates will be awarded to the first-place male and female runners in each age group; and commemorative awards will be given to the first-, second- and third-place finishers, both male and female, in each age group. T-shirts will be given to all participants who finish the Run or the Walk. Click here to register for the 33rd Annual 5K Run/Walk. Dr. Mary Frances Berry, former chair of the U.S. Commission on Civil Rights, will deliver the Judge A. Leon Higginbotham Jr. Memorial Public Interest Lecture at the Tuesday, June 26 Quarterly Meeting and Luncheon. Click here to purchase tickets. Jane Leslie Dalton, who has served as Chancellor, chair of the Board of Governors and co-chair of the Women in the Profession Committee, will be presented with the Association's Sandra Day O'Connor Award at the event, set for 12 p.m. at the Hyatt at The Bellevue, Broad and Walnut streets. The O'Connor Award is presented to a woman attorney who has demonstrated superior legal talent, achieved significant legal accomplishments and has furthered the advancement of women in both the profession and the community. Dr. Berry is currently the Geraldine R. Segal Professor of American Social Thought and Professor of History at the University of Pennsylvania. She has written numerous books including "Power in Words: The Stories behind Barack Obama's Speeches, from the State House to the White House." New members of the Association's 50-, 60-, 65- and 75-Year Clubs will also be honored at the event, set for 12 p.m. at the Hyatt at The Bellevue, Broad and Walnut streets. The Year Clubs recognize attorneys who have been practicing law for 50 years or more. Click here to purchase tickets. The Barristers' Association of Philadelphia will host its Annual Awards & Scholarship Dinner on Friday, May 18 at The Westin Philadelphia Hotel, 99 S. 17th St., beginning at 6 p.m. This year's Award recipients are: Danielle Banks, of Stradley Ronon Stevens & Young, winner of the J. Austin Norris Award; Charles Cunningham, of the Defenders Association of Philadelphia, winner of the Cecil B. Moore Award; and U.S. District Court Judge Petrese B. Tucker, winner of The Honorable A. Leon Higginbotham, Jr. Award. Scholarships will also be presented to local law students. For more information please visit www.phillybarristers.com or contact Amber Racine at aracine@anapolschwartz.com. Two of the attorneys representing the Chester-Upland School District in a lawsuit fighting the state to keep the district open will be the guest spakers at a Young Lawyers Division 20/20 program on Thursday, May 31. Disabilities Rights Project at the Public Interest Law Center of Philadelphia. They will discuss the Chester-Upland litigation as well as other similar cases regarding issues of access to appropriate education in southeastern Pennsylvania's inner-city school districts. The program begins at 12 p.m. in the 11th floor Conference Center at the Philadelphia Bar Association, 1101 Market St. Lunch is available for $8 for members of the Philadelphia Bar Association and $9.50 for non-members. Click here to register. Revel, Atlantic City's newest beachfront resort, will host the Bar Association’s 2012 Bench-Bar & Annual Conference on Oct. 5-6. The Bench-Bar & Annual Conference provides attendees with the opportunity to earn CLE credit while networking with colleagues and members of the bench. Hundreds of attorneys and judges are expected to attend. The website for the conference, benchbar.philadelphiabar.org, is now up and registration is open. Maria A. Feeley, a partner at Pepper Hamilton LLP, is chair of the Bench-Bar & Annual Conference. Molly Peckman, director of professional development at Dechert LLP, is programming chair of the Bench-Bar & Annual Conference. Jeffrey S. Gross, a principal with Batt & Gross, is serving as sponsorship chair and Jennifer Segal Coatsworth, an associate with Margolis Edelstein, is sponsorship vice chair. Regina Foley of Raynes McCarty is chair of the scholarship subcommittee. Revel, with more than 1,800 guest rooms and suites filling 47 floors and more than 6 million square feet of space, officially opens on Memorial Day Weekend. Among Revel's features is Revelry, located 61 feet above sea level and named for its energetic and vibrant atmosphere, which showcases 12 restaurants, 46 retail shops, nightclubs, dayclubs, an intimate performance space for 700 and 150,000-square-foot casino. The $2.4 billion glass Revel is located on 20 beachfront acres on the Boardwalk between South New Jersey and South Connecticut Avenues. For sponsorship information, please contact Aimee Cirucci at 215-238-6342 or via email at acirucci@philabar.org. Learn more at benchbar.philadelphiabar.org.